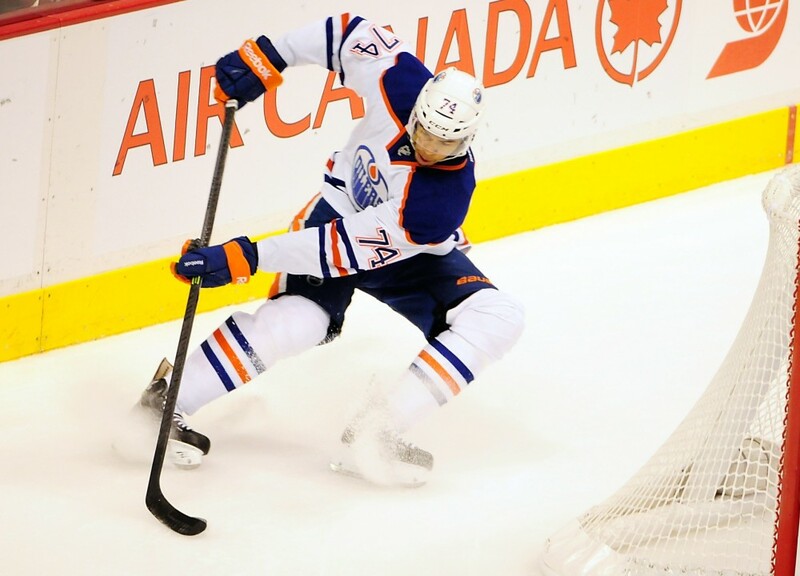 The Edmonton Oilers are set to take on the Eastern Conference leading Pittsburgh Penguins on Friday night, followed by the defending Stanley Cup champions on Sunday. But the focus is yet again off the ice as the organization’s tailspin continues. The set-up at Rexall Place can partly be to blame for this incident, as the route from the press box to the dressing room is conducive for encounters with fans. Oilers General Manager Craig MacTavish wasn’t too happy with the chirping he endured after a tough loss to the Blues, and let a fan have it. 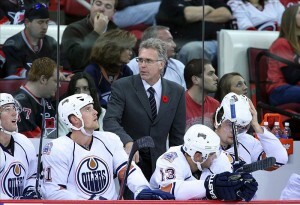 MacTavish, just like the rest of the team and management, is very frustrated. Before the season began, there was hope in Edmonton. But halfway through the season, the playoff are once again a pipe dream, and Mac T is already thinking about the future, including the possibility of nabbing top prospect Aaron Ekblad in the draft. Yes, another possible first overall pick. MacTavish thought his team was good enough to compete, and scoffed at the possibility of another lottery pick back in the summer. But things have changed drastically in Oiler nation. Already dreaming about a Nurse/Ekblad defense pairing are we? Has the GM given up? Well based on the on-ice product, it’s hard to blame him. The Buffalo Sabres are Edmonton’s biggest competition for that first pick, though there isn’t a consensus that Ekblad would go first. In any case, it looks like the Oilers scouting staff will be hard at work yet again evaluating top young talent. Gagner on the Trading Block? When the Oilers signed Sam Gagner to a three-year contract extension last year, it was pretty evident they weren’t sold on him being with the team longterm. Taylor Hall, Jordan Eberle and Ryan Nugent-Hopkins all got long-term contracts, but with Gagner they took a different route. It’s been well documented that Gagner was rushed into the NHL as an 18-year old, but it’s too late to do anything about that now. He hasn’t played well this season, though his return from a broken jaw has likely been a factor. Gagner will be playing ring wing on the top line against the Penguins, perhaps in an effort to showcase him to other teams. Last year was a strong one for Gagner, but for whatever reason he hasn’t been able to carry that over. His stock isn’t very high at the moment, but chances are the Oilers will be happy to get anything for him. His contract doesn’t have a no-trade clause so the options are plenty. But at the moment this is firmly a rumor, as MacTavish is remaining very tight lipped. The very reliable Elliotte Friedman suggested that Gagner could be on the move during his segment on Hockey Night in Canada. There are likely a lot of teams who would be interested, and change of scenery could do him well. In any case, all of this signals it’s back to the re-building block for the Oilers. Again.